The Washington club was in fact not yet famous, but wished to become so. It had played only five match games in 1865, welcoming clubs from Philadelphia and Brooklyn to play on the lot behind newly installed President Andrew Johnson’s White House. 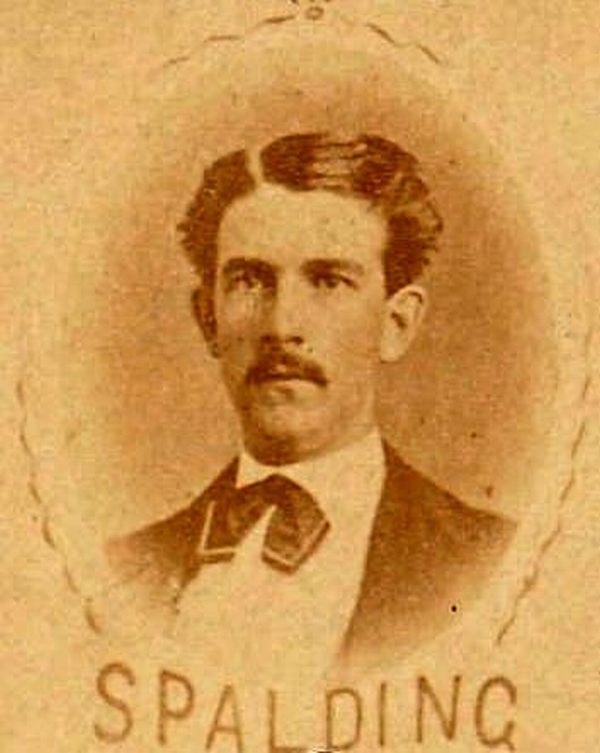 Although the 1866 Nationals won 10 games against five defeats, they by no means ranked alongside the Atlantics, Athletics, Mutuals, or the champion Unions of Morrisania, led by handsome young George Wright, the coming baseball hero of the age. 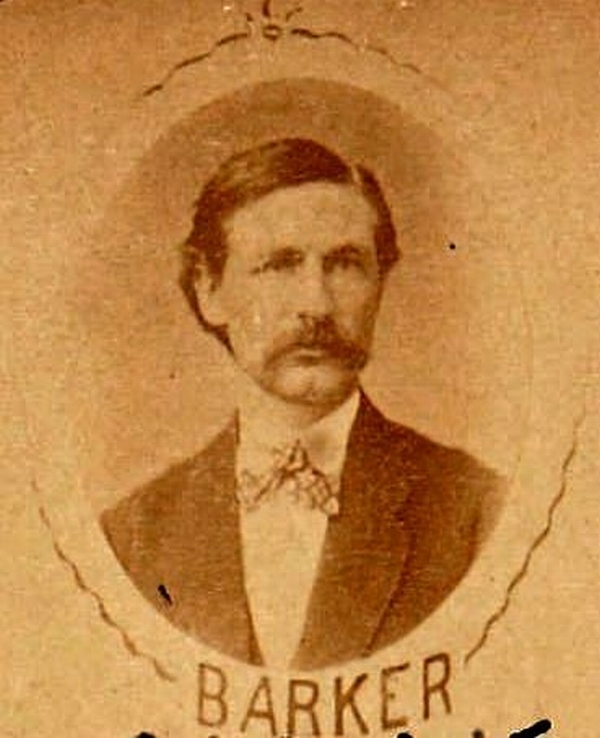 In 1867 the Nationals strengthened themselves with additional recruits, giving each a patronage government job, and somehow persuaded Wright to join them too. Although the players were nominal amateurs, there can be no doubt of their uniformly professional status. The club president listed Wright’s place of employment as 238 Pennsylvania Avenue, at that time an open field. During the three weeks of their Western tour, the Nationals made a show of maintaining their amateur status by refusing payments of any kind, even declining reimbursement for travel expenses. These, of course, were covered by their employers, who had graciously permitted them to abandon the desks at which they had seldom been seen anyway. The aim of the National Club directors in going out on tour was not pecuniary gain but social éclat and pride of place: The Western farmers had been getting a bit chesty about their brand of baseball and, it was thought back East, needed a slap of reality at the hands of an experienced ballclub. The Nationals prepared for their trip with easy triumphs over local cupcakes until they journeyed to Cincinnati to play the Red Stockings on July 15, in a battle of two unbeaten nines. Leading up to the match with the Nationals, the 1867 edition of the Cincinnati Base Ball Club—already popularly named Red Stockings—had drubbed four local clubs. After initially holding their own against the Nationals, the Reds ultimately were humiliated by a count of 53–10. After crushing the Red Stockings and five other patsies, the Nationals headed for Chicago for highly anticipated games against that city’s best, the Excelsiors and Atlantics, named in emulation of Brooklyn’s finest clubs. The Forest Citys of Rockford had already played the Excelsiors twice that year, losing narrowly each time, and thus ceded the state championship. All the same, the Rockford boys were given the consolation prize of an invitation to Chicago to play what amounted to a warm-up game against the Nationals on Thursday the 25th at Dexter Park. On the following Saturday the Nationals would defeat Rockford’s nemesis, the Excelsiors, by a score of 49–4; on Monday the Washington nine would trounce the Atlantics by 78–17. I experienced a severe case of stage fright when I found myself in the pitcher’s box, facing such renowned players as George Wright, Frank Norton, Harry Berthrong, [George] Fox, and others of the visiting team. … A great lump arose in my throat, and my heart beat so like a trip-hammer that I imagined it could be heard by everyone on the grounds. I knew, also, that every player on the Rockford nine had an idea that their kid pitcher would surely become rattled and go to pieces as soon as the strong batters of the Nationals had opportunity to fall upon his delivery. (T)he Forest Citys had by this time gotten pretty well settled and their stage-fright had disappeared, yet none of us even then had the remotest idea that we were destined to win the game over such a famous antagonist. The thought or suggestion of such a thing at that stage would probably have thrown us into another mental spasm. “Do you know, George, that this is the seventh innings and we are six runs behind? You must discard your heavy bat and take a lighter one; for to lose this game would be to make our whole trip a failure.” Col. Jones’ excited manner plainly indicated his anxiety. This incident inspired the Rockfords with confidence and determination, and for the first time we began to realize that victory was not only possible, but probable, and the playing of our whole team from that time forward was brilliant. Rockford and Spalding held their six-run lead, emerging victorious by a score of 29–23. There had been upsets before in baseball’s brief history, but never one on this scale. The Nationals broke up after the season, but even in defeat their Steinbrennerian squadron had supplied the model for how baseball might succeed as America’s game.